Classy McGraceful - Feeling Feelings: Love is ALWAYS in Fashion 2017 Round-Up and 2018 Hat Announcement! Love is ALWAYS in Fashion 2017 Round-Up and 2018 Hat Announcement! Hello, friends! As 2017 comes to a close, I just wanted to say THANK YOU for your presence and kind words and support this year and every year. I'm so very grateful for you. I've just completed my 6th annual Love is ALWAYS in Fashion hat fundraising, where I'm passing $5 from each hat sale onto an organization of my choice. This year I had 3 partners because the world is falling apart and I couldn't pick just one. I also asked for cash donations and did other types of fundraising to support agencies this year. reStart, Inc - $250! (includes $50 from a special fundraiser during KIFF). I also separately raised $260 through a Facebook fundraiser for my birthday! Thanks to all who donated to that! I'm winding down my hat-making. My life has changed a LOT in the past 6 years, and I have other projects I want to do for 2018. That being said, I'm still selling hats through February (because it's freaking cold, you guys). 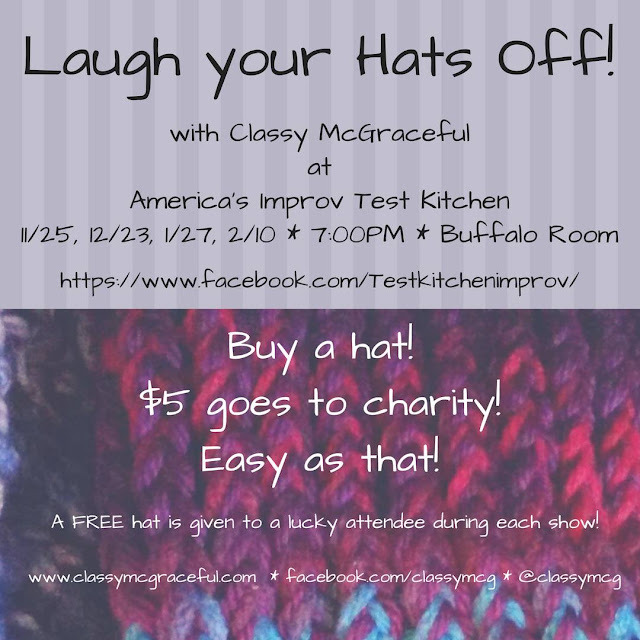 I've partnered with America's Improv Test Kitchen, and they will be hosting me for 2 more events! Saturday, January 27 and February 10, 7:00 at the Buffalo Room in the back of Westport Flea Market. I'll be there at 6:00 selling before and after the show, and audience members have a chance to win a FREE hat each show! Special thanks to AITK for hosting me in Nov and December. 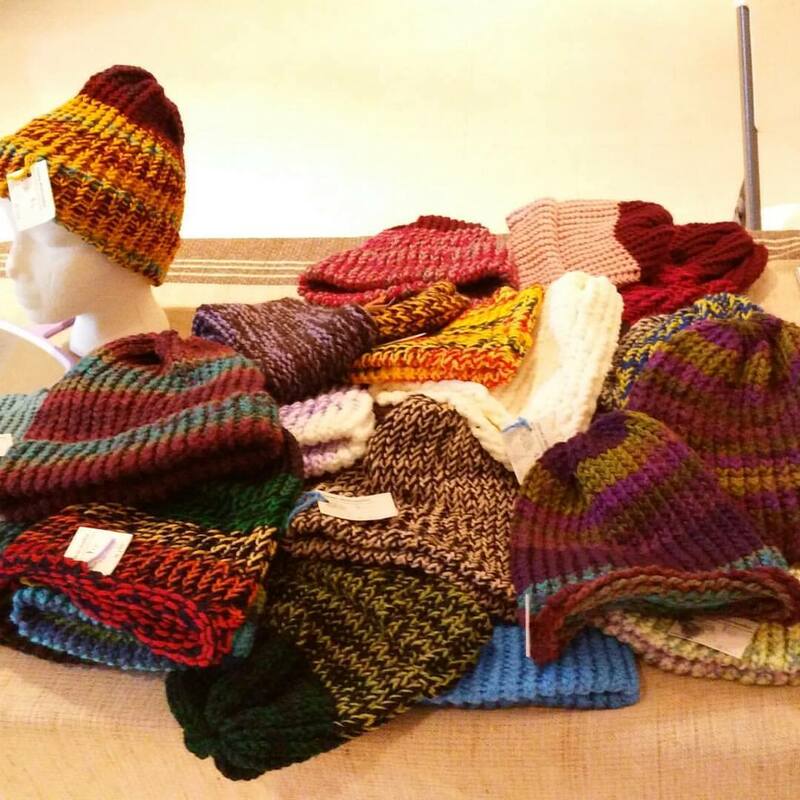 I did almost half of my hat sales for the year at those 2 shows! As always, you can make an appointment to shop the hat bin! Message me on Facebook or Instagram! Here's to an even MORE Classy 2018!